Missing Teeth? Tired of your Dentures? Dental Implants have become the optimum choice for individuals with missing teeth for numerous reasons. Not only are dental implants the most natural looking alternative for replacing missing teeth, they also function like natural teeth allowing you to eat and chew with the utmost confidence. Dental implants also provide significant advantages for your oral health by allowing easy access for floss between teeth and the implant. Dental implants also do not rely on support from adjacent teeth which reduces the need for unnecessary dental work (i.e. grinding) on adjacent teeth as is needed with a bridge or partial. For individuals with loose dentures or partials, dental implants can be an effective alternative as well. Dental implants can be placed and used as anchors, improving stability, and eliminating the need for obnoxious denture adhesive. Call to see if dental implants can improve your situation. 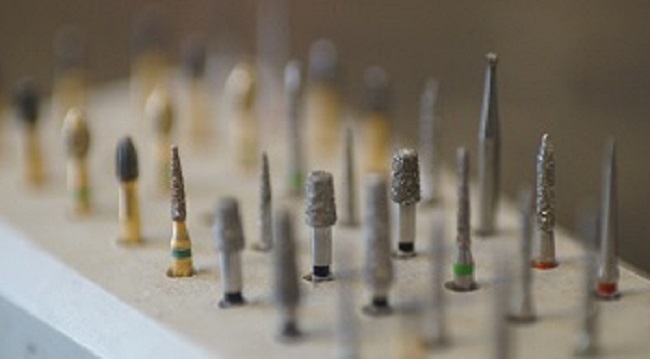 What is the longevity of a dental implant? Dental implants are small titanium posts that act as tooth root substitutes which provide the foundation for artificial teeth or crowns. We often describe them as "man-made tooth roots." Dental implants may also act as anchors for loose fitting dentures or partials. For individuals considering dental implants we ask that you complete a health history as well as a brief visual and radiographic evaluation to determine if dental implants are indeed right for you. Placement of the dental implant is usually broken up into two separate appointments. The first appointment is the actual placement of the implant which involves gently threading the implant into the jawbone. The implant is then covered up for 3-6 months to allow the surrounding bone to bond to the implant providing you with a solid foundation for the artificial tooth. The second appointment simply involves uncovering the implant, attaching a small metal post to the implant, and taking an impression for the new crown. At this time dental implants are by far the longest lasting treatment option for replacing missing teeth as compared to conventional treatment methods (i.e. partials, bridges, dentures). Dental implants can significantly improve the quality of life for individuals with missing teeth or loose fitting dentures or partials. Please contact us today to see if Dental Implants may be an option for you!